Before you go all wild on the stream button, let me just enlighten you first. This album (as of Nov 4) is now available to buy right here. I suggest your nimble fingers get to work spending your hard earned cash, because it’s the pick of this week’s crop. 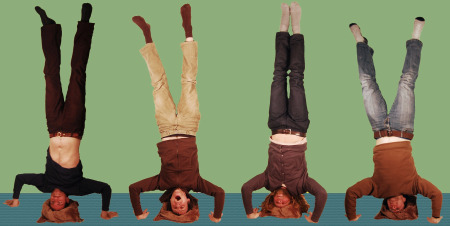 Pick a Piper is the collaborative project of Caribou’s drummer Brad Weber, Angus Fraser, Clint Scrivener and Dan Robert. In an effort to push collaboration over it’s own edge, Brad enlisted a few of his friends to hop on board as guest singers, and did so completely organically. Born Ruffians’ Andy Lloyd and members from Caribou, Ruby Suns and Enon are but a few you’ll have the pleasure of listening to. It’s polyrhythmic organic electro-dance pop, so if you’re one to drift off whilst you listen to music – this is your soundtrack. Their self-titled album is most absolutely, one of 2013’s most unexpected discoveries. How fitting that he’s being dubbed the ‘Pied Piper of Canada’. I’ll follow him pretty dang’ much anywhere if he carries on playing these tunes. PICK A PIPER – Yellowknife from Mitch Fillion on Vimeo. Head to Southern Souls for more sessions. I’d like to introduce you to Waterloo, Ontario’s Pick A Piper. A collective featuring Brad Weber of Caribou, Angus Fraser of Tenth of May, Dan Roberts ex-Winter Equinox and Clint Scrivener, they’ve written a handful of carefully crafted songs of tribal psych with heavy doses of percussion and electronic flourishes. Gorgeous textures, interesting vocal melodies. Very refreshing for my ears. You’ll also like this if you’re not normally satisfied with one drum kit on the stage. Pick A Piper perform with two (like bands Caribou and Tortoise). Start off with Rooms (here’s the video). Reminds me of the videos coming from MGMT‘s camp. For something a lot more rhythmic, try on Bechtel Park.